According to Mobile Entertainment, music discovery service Shazam now has 25 million iPhone and iPod Touch users and a total of 5 million users using its Android application, continuing to add more than one million users a week. With so many users interacting with its service, Shazam’s app now tags 3 million tracks a day, facilitating between 250,000 and 300,000 track purchases, a conversion rate that fluctuates between 8-10%. In December we noted that Shazam has surpassed the 100 million users mark, it has now become clear that this accounts for all of the people that have used the service in the ten years since the platform launched. 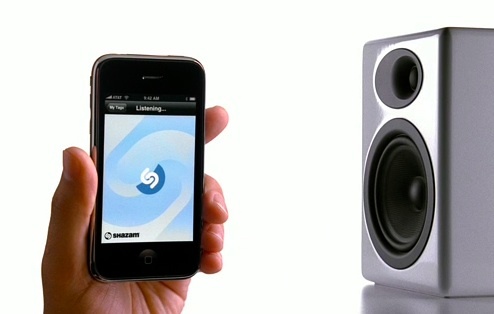 Mobile Entertainment estimates that Shazam earns between $10,000 and $15,000 a day from music referrals (using a track price of $0.99), equating to $300k – $450k a month, almost $6 million a year. Shazam offers a free smartphone application but also charges $5.99 for its premium iPhone and iPad app, so its revenues will be substantially higher from the figures quoted just for its affiliate sales. The company also has sponsorship and advertising agreements in place, this week we brought you news of its partnership with Spotify to allow the playback of tracks using the service. Whatever way you look at it, Shazam is dominating. The service provides perhaps the simplest of services and its users love it, it’s a money making machine.